This luxury upscale home is perfectly situated. 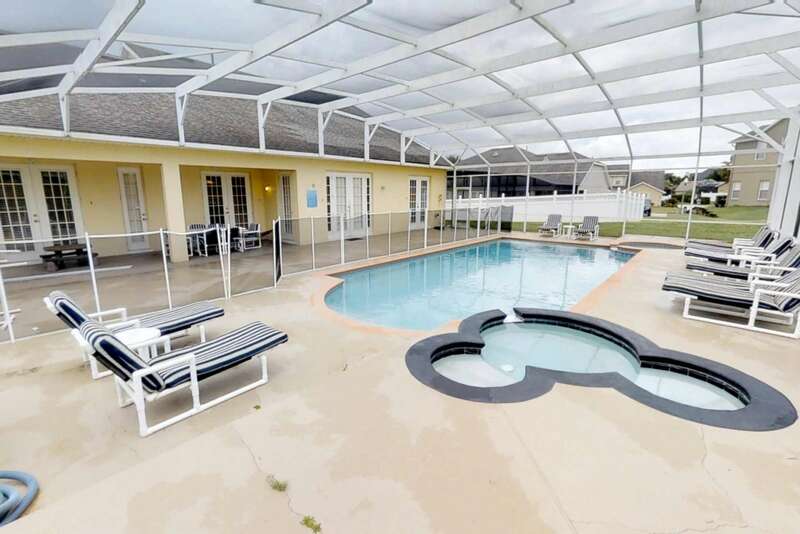 Just minutes from Disney and golf and within walking distance of shops, restaurants, and banks in the Formosa Shopping Village. 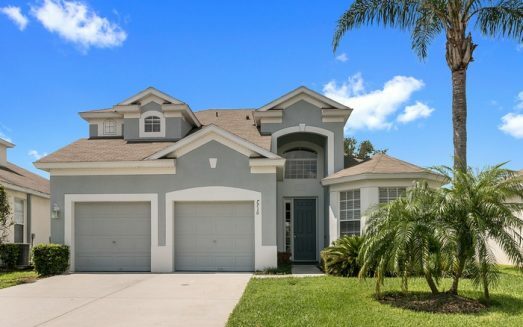 This community enjoys the status of being one of the CLOSEST, one of the most exclusive gated and walled Community to Disney with the some of the biggest homes on the some of the biggest lots and it provides easy access to all the attractions, airports, and highways. 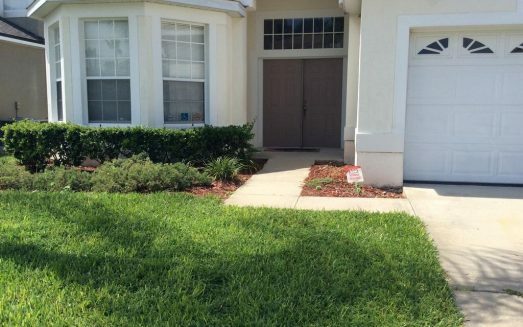 No expense was spared on this rental home. The photos do not do the villa justice but they will help give you some idea of its quality. This Non-Smoking villa is fully air conditioned throughout with Spacious Sitting/Family Room, Two Dining areas, Seven Bedrooms, Six Bathrooms (Four En-Suite) and an excellent Game Room. A large and well equipped kitchen is here for your use. This luxury home has four Master Suites. All Four Master Bedrooms have King Beds and ensuite bathrooms. There are an additional Three bedrooms. Two bedrooms are twin rooms and one has bunk beds, one of these is our NEMO Theme room. There are TV and Video combos and a selection of children’s movies and a Playstation Game console for everybody’s enjoyment. This home accommodates 16 occupants comfortably and has been designed for the most discerning guest who simply wants something special. Our game room has a full size top of the range Pool Table and a Las Vegas Slot Machine with free tokens. It is fully air conditioned and carpeted. 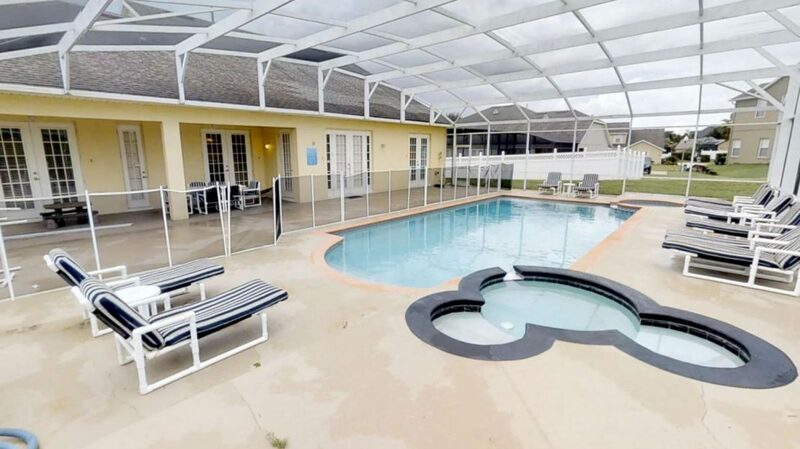 The pool area: Outside you will find one of the biggest pools area of all the rental homes in Orlando, an incredible 40 x 20 ft Pool and Spa/Jacuzzi for 8 people and children’s Mickey Mouse pool. Pool heating is offered from September through May at an additional $30/day. The Pool, Jacuzzi and Children’s Mickey Mouse Pool: Are fitted with Fibre Optic Lighting which allows them change color every 30 seconds. This provides an incredible light show at night and the adults seem to love it as much as the children. The Sun decks: Are South/East facing so the sun is on the pool area the moment it rises. 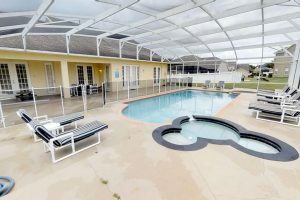 We have soft upholstered pool furniture, comfortable sun loungers, occasional drink tables, to provide shade for the fairer skinned a large under cover Lanai area with full dining facilities, large fans and Sound system. Outside the pool area there is a barbecue for those large get togethers. Children’s Play Area: We have a children’s play area outside the pool area fitted with swings and slide and a sand box and lots of other stuff to keep little ones amused for hours. So you can relax at the pool and still keep an eye on them on the swingset. Children: We have provided a high chair. 2 light strollers, car seat, a pak n play and stairs gate. Children’s Safety: For childrens safety all doors to the pool area have child alarms. If a child opens the door the alarm sounds. We also have a safety net around the pool for added protection. Internet: A computer with high speed internet and Wifi is available for your convenience. 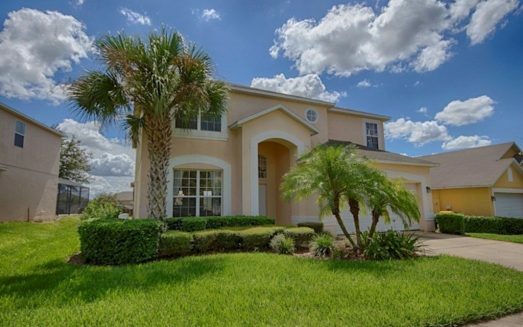 Book this outstanding home today!